Based on what exactly? The meaning of the radicals feeds the existence of the kanji. Why do you think they have names and meanings in the first place? For fun? For example 南 has radical 十, and from jisho you would find decomposition 并冂十干. So what does the radical mean? Knowledge of radicals and their meanings is more important then, because if you go far enough back, they are occasionally used (house on the hill being a good example) as if they were words. … isn’t that the chinese bell instrument? Menacing with spikes of bronze, that is. If there is a problem reported by new users repeatedly, perhaps the problem is genuine? Everyone who’s been replying to you was level 1 once, and after a few levels knows that there is no problem. You’ve received an explanation on how WK works several times, both about SRS and radicals, and you’re repeatedly trying to prove your knowledge, intelligence or whatever in your replies without actually understanding what people are trying to tell you. For some of us this works, and obviously it’s not for you. Everyone who’s been replying to you was level 1 once, and after a few levels knows that there is no problem. I describe waiting 2-3 days for no reason being forced to repeat something you already know with no option to move ahead to be a problem, but each to their own. My main problem is still the first impression, and the first impression is to just twiddle thumbs for up to 3 days. I hope you’re enjoying the WaniKani experience! If you need any help feel free to ask! You’ve met loads of helpful individuals in this thread already but I’m more than happy to step in to help, or to answer and penguin specific issues! Gonna sneak this in before the thread closes because you still do deserve a welcome (despite the chaos at hand). Warning: Please proceed with utmost caution. There is no turning back. I’m sorry but that’s a thing… you can’t just defend wanikani as the holy grail, naming radicals such as wolverine, sauron, the ship from star wars (i’ve never seen star wars), narwhal… i mean seriously? WK doesn’t know it all you know? Using charlie sheen as a mnemonic is at least insulting for me, using their staff to make example sentences, koichi subtly mentioning how great he is here and there… pffff… i’m sorry, at least for me there is a great amount of stuff here that are just plain absurd. I believe that if i wasn’t allowed to add my own research to the stuff im learning i would have left this site for good as enganging as it is. What makes WK worth it for me is how they managed to order the kanji so you never feel you’re learning something without already knowing what are the components on it. That is beautiful enough, but maybe idk maybe it’s because im not from the us and i was raised differently, so im culturally blocked and so i need to add my own thoughts otherwise they wont stick. Hmm the radicals in their current form were fixed in 1716, how does this relate? You are basically saying that they were using more kanji back then, including what later became radicals. So to read it you need to know them as kanji. But is it really relevant for learners of contemporary Japanese? From my experience the “real meanings” are 1/3 helpful, 1/3 obscure trivia but helpful if you are into this stuff (but more work to remember a la “why the hell am I reading this?” otherwise), and 1/3 irrelevant because shapes got simplified, replaced, etc. Basically I would say that WK doesn’t have a problem, the radicals are optional knowledge in most cases, and it is easier to look them up than somehow trying to cram for example all the radicals that somehow signify hands into mnemonics. I already laid out my position above, after the post you quoted, and the many times it’s come up before, so I won’t again. The WaniKani radicals have a different purpose to the traditional radicals, hence their different names and total number. The traditional radicals names in English are sometimes just as arbitrary as WK’s, just with less pop culture. As such, that’s why I put quotations around “real radicals” above. While knowing a handful of them can be helpful in guessing kanji meanings (such as 木, 手, 心), the majority of kanji aren’t constructed in a way that knowing the meaning for each part actually helps much. EDIT: Also, regarding the speed at first, it is one of the foundational principles of Koichi’s objective with the design of WK and therefore one of the least likely things to change, so perhaps knowing that means veteran users come at the discussion with a feeling of “why are you barking up this tree, Koichi is chained up there and he’s not coming down”. You are basically saying that they were using more kanji back then, including what later became radicals. So to read it you need to know them as kanji. More or less. Some radicals were made up back then as construction blocks (most of the 1 strokes, some of the 2 stroke ones) for the existing kanji, but as far as i have read, a lot of them came from previous use as either what would be described as offshoots of the language akin to slang, or general use. It helps me greatly that i can put in user synonyms and use their actual names, because, well, i already have learned a good bunch elsewhere, and muddying their existence with new constructs would make it difficult for me at least to be able to read more historical texts. I brought house on the hill up because it’s… a lovely example of radicals. ⼚ is a hill or a cliff, ⼴ is a house on a hill, and 疒 is sickness. They were all relatively commonly used, and the last one, well, early japanese… hospitals, better described as places of quarantine were built on tall hills often with cliffs. The last was used to describe a place for the sick. But is it really relevant for learners of contemporary Japanese? Maybe not for everyone? I have found it extremely helpful for my own needs, so long i don’t strive to describe a radical-based meaning for every single kanji out there. Mnemonics for kanji are just that, so long you can stuff the reading somewhere into your mind. You will see that there is often more than one opinion what stuff actually represents. At least the Shuowen Jiezi disagrees with you on 疒 The left part (looking like 爿) often signifies a bed, I would rather buy person lying down as in here http://dic.nicovideo.jp/a/疒. Fine, i just read what transpired while i was writing, yes thank you for taking your time to punctualize it again. And to clarify, I’m not advocating that anyone ignore the traditional radicals or how to use them. As I also indicated above, I have taken Kanken, and I am taking it again soon, so I do spend some time with them (though it’s not a huge part of the test, so even their usefulness in that regard is limited). I just don’t see a worthwhile benefit to WK’s mission to changing the system to fit the traditional radical scheme. I think it is pretty clear. The first part is the meaning, which is, as you say, sickness. The explanation is in modern Japanese, where is the problem with 病? Then, you are interested in 字形. They even quote the Shuowen Jiezi for you No idea what 倚箸する was, but the first sentence explains it in modern Japanese (so 寝床の上に人が臥せっている). Thank you for such a comprehensive and well thought-out response. I love seeing such thorough reasoning which addresses points one at a time without any wiggle room for nonsense. Calling it “stupid” without trying it and indirectly insulting everyone who uses a “stupid” system is not a productive way to gain allies or support for product feedback. There is a way to talk to people that does not make them hostile, and this was not it. I do agree that if people complain about the speed, it should be considered. But it has. And à conclusion was already reached. The pacing is here to stay, and I for one am grateful for it. SRS serves a legitimate purpose, just as the made up radical names do. Personally I do not like made up radicals, nor do I make as much use of mnemonics as most people seem to, but that does not mean they are useless. I can see their use very clearly, even if I do not make use of them myself. Also, for anyone who does not like them, how about adding synonyms as has been suggested already? Coming here as a newbie, being presumptuous in assuming that you are more knowledgeable than the entire community, arguing without doing reasearch, and generally antagonizong the good folks of this realm for no good reason is a despicable way to try and get a point across. If WK does not work for @Kanakota, he’s obviously welcome to leave feedback in a friendly way, or simply use something else, but the way it looks, without having even tried it properly, he wouldn’t even reality know if it’ll work for him. I can’t really read everything on that page, it’s a bit above my reading and comprehension level I really can’t give the context of all the categories even, but 字形 should only really describe the shape, not the actual meaning, if i interpret it correctly. 字形 describes the composition of the kanji, for example if it is a hieroglyph (象形) as this one, a phonetic-semantic compound, etc. It describes the parts in compounds, but also the etymology of the characters. For hieroglyphs it describes what it represents. Often there are several theories. 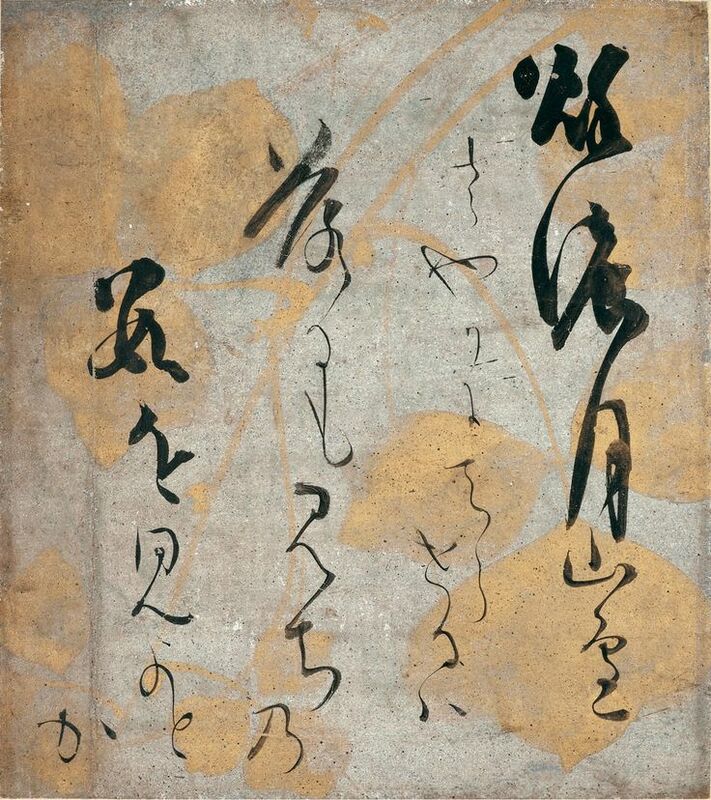 You are reading in the 部首 part, the character used as a radical in other kanji (like 疾病). It says that when 疒 is used as the semantic component (as opposed to the phonetic component), it signifies disease. For example 症 means “something related to disease read as 正 (せい・しょう)” = symptom. If you are into this I can recommend that site, it is a bit obscure (it is a wiki, and some very basic kanji don’t even have a kanji section) but there seem to be lots of kanji fanatics.